Y’all, I’ve mentioned before that I live in Texas. And most of the time, it doesn’t get very cold here. But when it does, my coffee (which I like to sip over a good while) gets cold FAST! 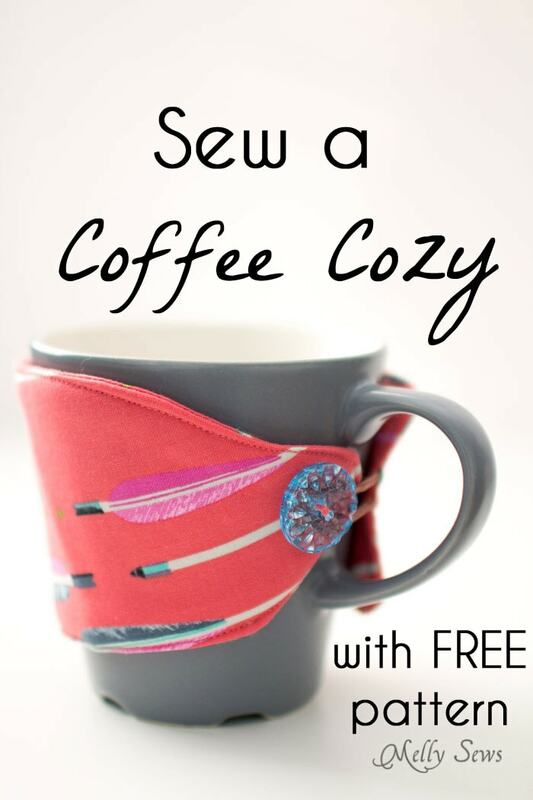 So today I’m sharing a trick to keep it warm a little long – coffee cozies. And I’ve got a free pattern for you to make these for yourself or for a gift. 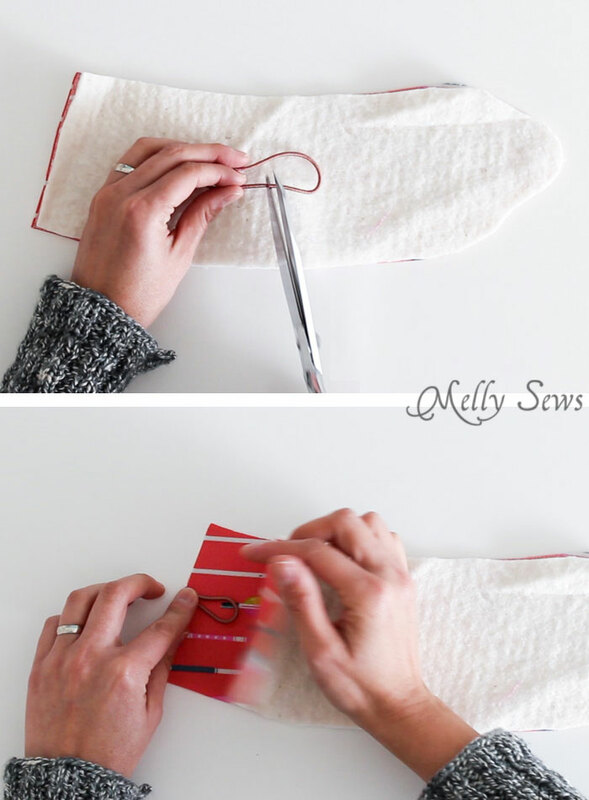 They’re a fun way to use up scraps and those single buttons we all have hanging around our sewing supplies. Batting scrap. I used cotton batting, but you can use pretty much any kind you have laying around. I even used some random headliner foam I had for one of these. To make this, you can watch the video below, with screenshots and written instructions below. If you don’t see the video loading, you can also watch it here. Cut out two mirror images of the fabric and one layer of batting. Cut the ponytail tie in half, or just cut out the metal piece if it’s the kind that has metal on it. 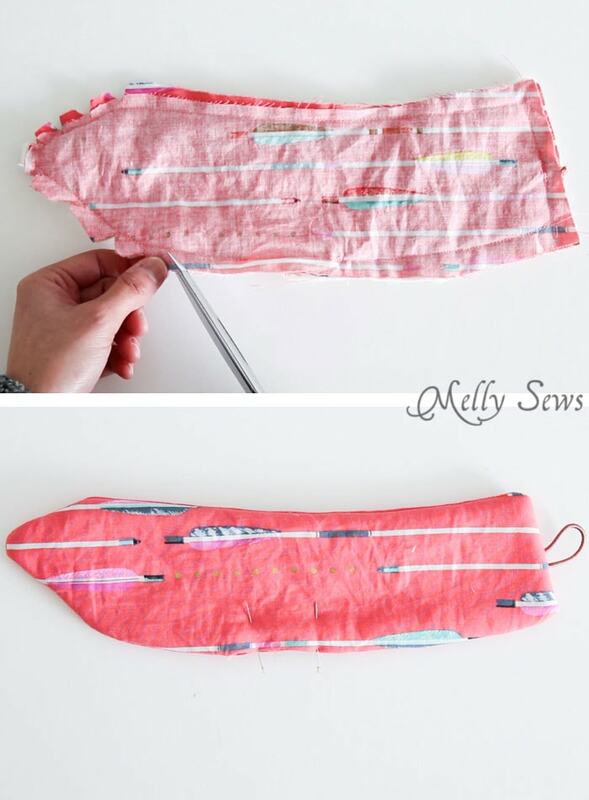 Fold the tie and place between the fabric pieces, right sides together. Stitch around the edges of the cozy, leaving a gap on one long side for turning later. 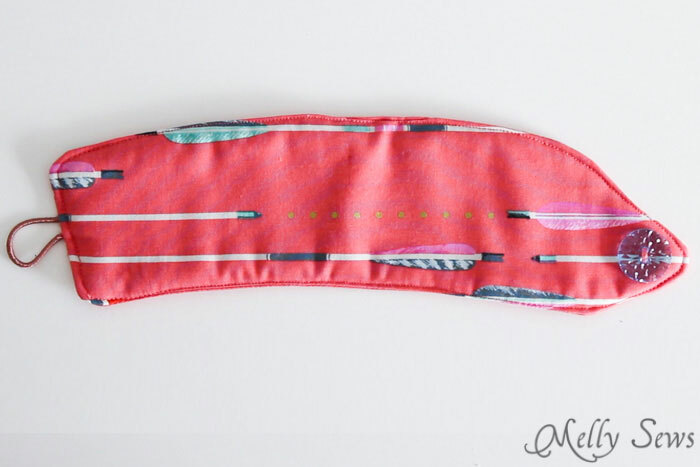 Make sure to backstitch over the elastic tie to secure it. Clip the curves and trim batting down at the seam allowances. Turn the cozy right side out and pin the turning gap closed. Topstitch around the edges, closing the gap. Hand sew a button to one end and you’re done! As shown in the picture below, the top of the picture is the top of the cozy. 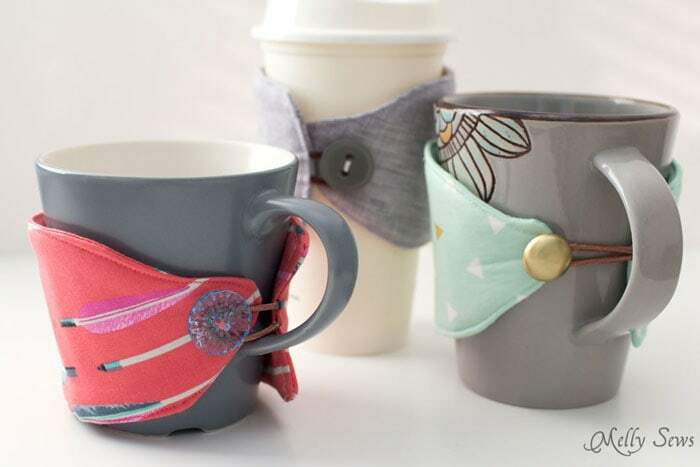 Between the elastic and the button, these can also adjust for lots of different sized cups. I love the this! Thanks for the pattern. 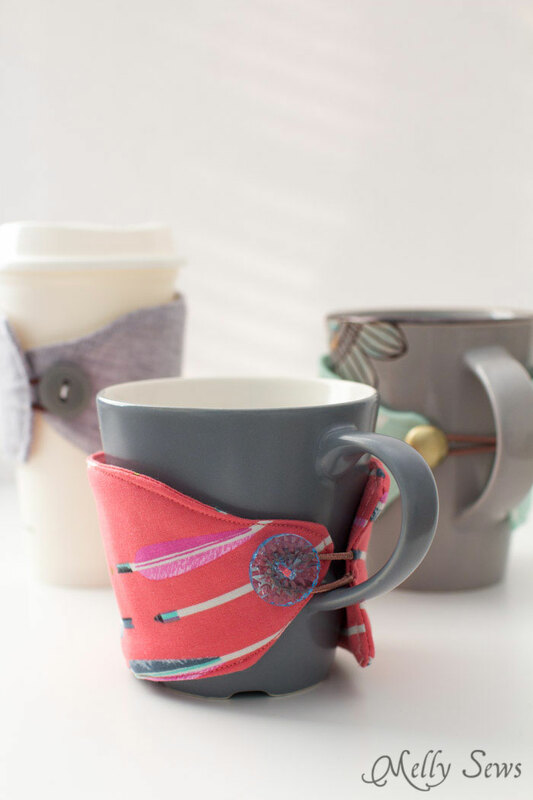 These would make great little gifts for people. Thank you Melly. This is the perfect last minute gift. Merry Christmas from the Texas Gulf Coast! Thank you Melly, I will make some today. Its an excellent post. Merry Christmas! thank you SO MUCH! I made 4 of them for my best friends and they turned out amazing. thanks again! Thanks for this great idea. I plan on making one for a friend of mine who is turning 80 soon. I am already 80, but still enjoy sewing the occasional thing. This will be a nice surprise for my friend. Gorgeous! A great gift idea. I would add some insulbrite to help with the insulation. Great idea and Great pattern. thanks.